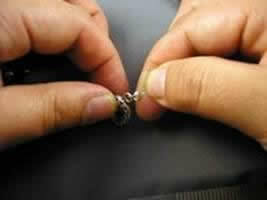 Wrap the “c” of the crimp cover over your crimped crimp tube. 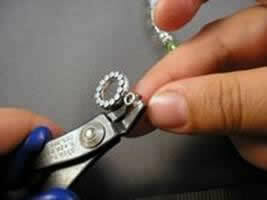 Use the front part of the crimping pliers to gently close the crimp cover. 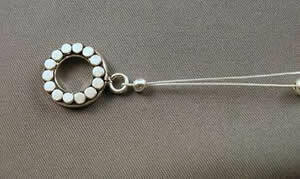 Your closed crimp cover should look just like a round silver bead, like this.